Vegemite fans have a new reason to celebrate with the announcement that there will be a gluten-free version. Revealing the news on Instagram, the brand said: “Happy little Vegemites rejoice! Australia’s favourite spread is now available in NEW Gluten Free”. 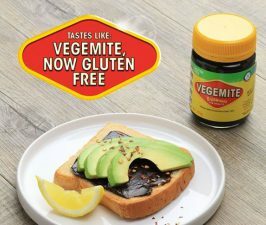 “After much demand from our fans, we’re thrilled to finally share our Gluten Free Vegemite with you! It is an important step to ensure the Aussie spread can be enjoyed in every Australian diet,” the post said.